In my ongoing quest to find the perfect Home Theater PC platform, I was excited to read that XBMC had been ported to Android. This opens possibilities for XBMC on low cost, low power, low noise, small form factor hardware, with hardware accelerated media playback. 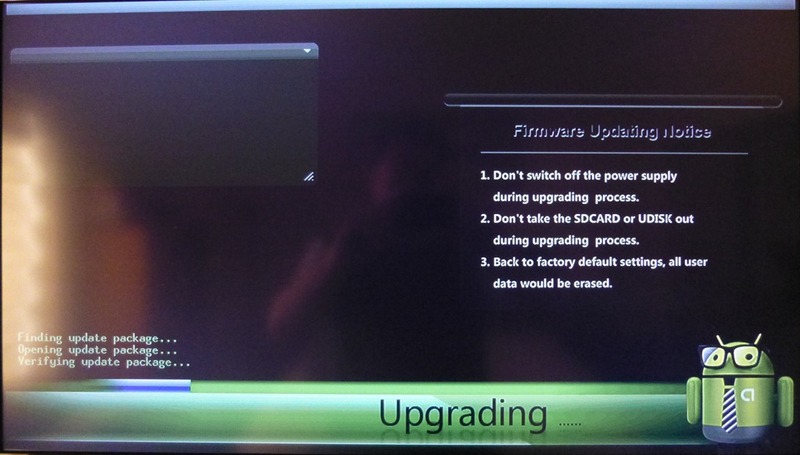 The XBMC Android development was done on a Pivox XIOS DS device, and I ordered one from Amazon. At $115 it is not exactly low cost, especially compared to mature platforms like the Roku 2 XS for $98 or Boxee Box for $180. If you’re interested in an a full unboxing, look here. I installed the box, powered it up, and it takes about 90s to power up, much longer compared to the Roku, Boxee or OpenElec. By default LAN and WiFi are both disable, if you click the down button, the settings icon will be active, and you can press the Ok button, once or a few times, and then enable the LAN card. The updated version is Android Ice Cream Sandwich 4.0.3. I had the box up, and updated, I wanted to install XBMC, and I discovered that the announcement for XBMC on Android support did not include the availability of official binary packages, just source code, and build instructions. I was not really up for setting up a build environment myself, and knowing the community, I started looking for unofficial builds, and I found one at the Miniand Tech forums for the MK802, but I did not want to install it until I could find confirmation if it would work on the DS. This morning I noticed a new thread on the Pivos forum containing a pre-release APK file for the DS. Once up and running, I wanted to add some network media, and this turned out to be a challenge, as NFS is not supported, yet SMB is. I normally allow anonymous/root NFS read-only access to my media files, all media players are happy with this. I do allow SMB access using a domain username and password, and most players are happy with this, just more typing. But, I was unable to enter any symbol characters, the standard XBMC remote control data entry box would not enable the symbol buttons. I tried a USB keyboard, but the “_” character resulted in a “-“ character, and the UI would not close, unless you hit the Ok button on the remote several times. Next I tried setting up a XP VM image with the guest account enabled to allow anonymous SMB network access, and just browsing to the share, that also didn’t work, as I was prompted for a username and password. 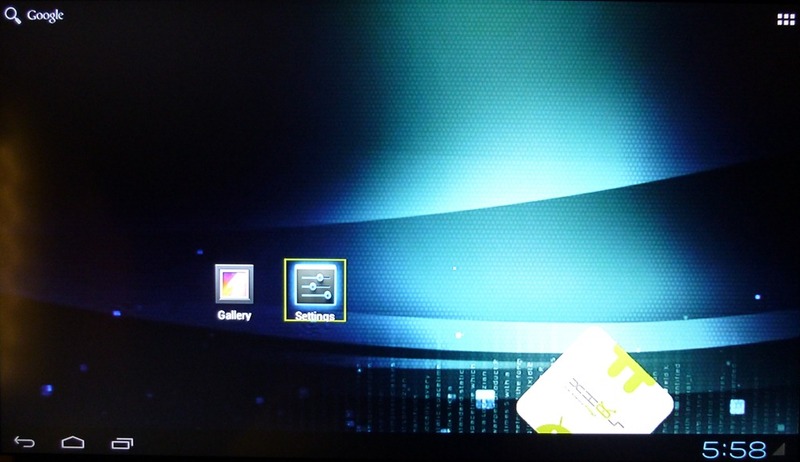 I created a test account on the XP image, using a simple username and password, and that allowed me to access to the folder. The remember credentials option did not work, every time I access the folder I have to re-enter the credentials. I’m sure NFS support will be added, and these issues resolved over time. I used the series of bird test videos to test network playback, I have MKV files ranging from 20mbps to 110mbps. I haven’t yet found a player that can play the 110mbps video without dropping frames. Unfortunately the OSD for XBMC on Android does not show frame statistics, but by visual observation stuttering started around the 38Mbps mark. Note that these MKV files only contains a video stream, no audio or other streams. I was disappointed as I couldn’t get any of my AVC/H264/DTS/AC3/AAC based movie files to play. Since the video only files played ok, I assume it is due to the audio stream types, or a configuration option, but I’m not sure. The platform is promising, but in its current Alpha state it still needs lots of work, both in terms of remote control based Android navigation, and XBMC on Android stability. I will definitely try again once a more stable version is released for direct deployment via the appstore. Thanks for this, a very informative post. 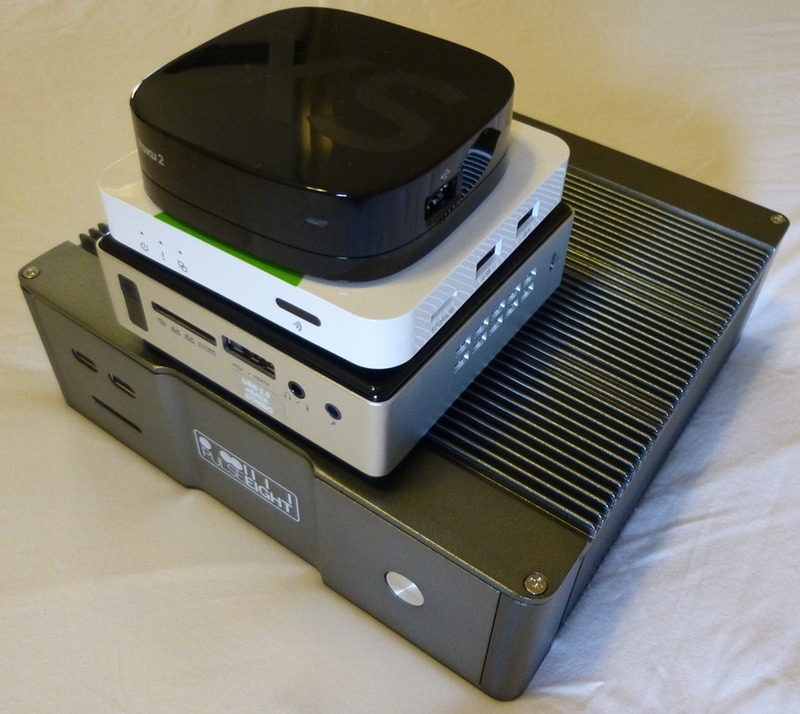 I am definitely interested in hearing your follow ups on this HTPC setup as I believe it holds a lot of potential. I am holding off buying until I have more of an idea of how it will mature. 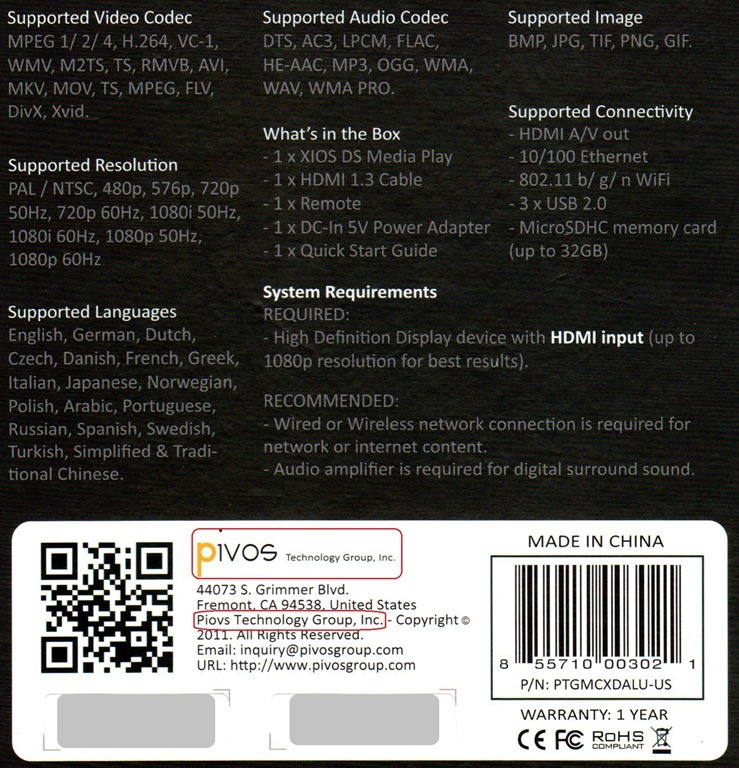 It has been hinted at in forums that Pivos have an upcoming iteration of the DIOS hardware. I haven’t played enough with my Pivos XIOS DS to make a truly informed statement, but I have to say my initial reaction was disappointment. As you pointed out, the interface is extremely clunky. Having never used Android before I was really disappointed. There’s no clear instructions – and the online instructions are so dreadfully slow to load that I just stopped trying to read them. Having used a HP Media Center remote with my XBMC box (a netbook) before I was also really disappointed with the remotes available for the XIOS. Even the extra “sense” remote feels very limited compared to what I used before. 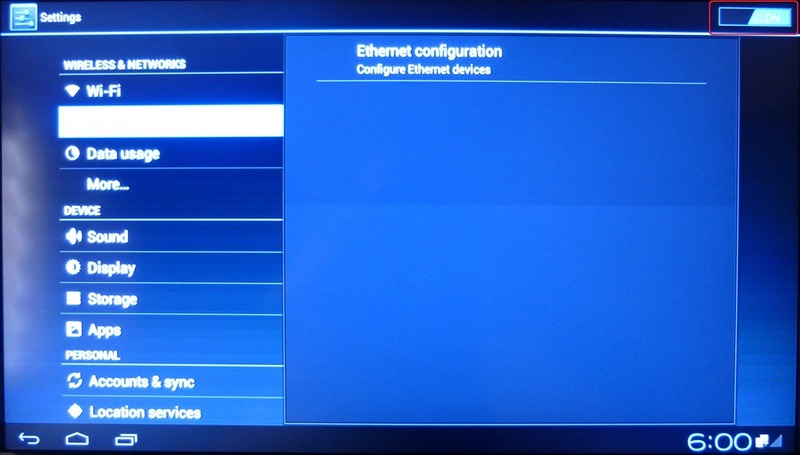 I noticed my XIOS running XBMC only defaulted to 1280×720. I wondered if I was doing something wrong because my netbook ran at 1366×768 through the VGA/DSUB cable. HDMI is suppose to be much better, so is it the XIOS, or am I missing a setting? 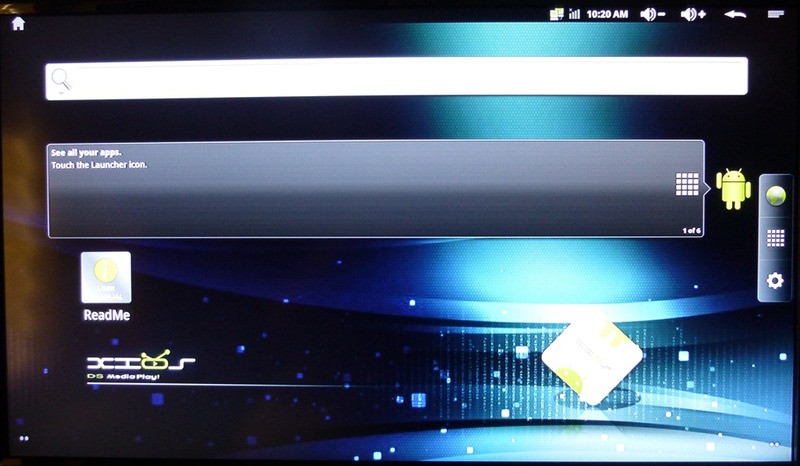 It took a bit for me to find the .apk for XBMC, at first I only saw the source code. 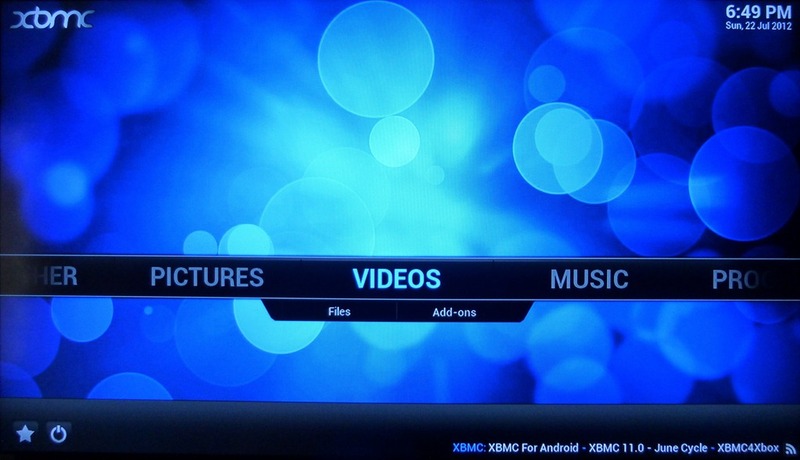 It’s a shame XBMC still isn’t a part of the Android Play market, or better yet a firmware is rolled out with it. One last wish was 1 more USB port. I have 2 external hard drives, those plus the sense remote dongle take up all 3 USB ports on the XIOS. I unplugged one of the devices and plugged in my HP media center remote. Unlike Ubuntu, Android didn’t know how to handle the remote, even a little bit. I’m sure it can be configured (there’s probably lirc). 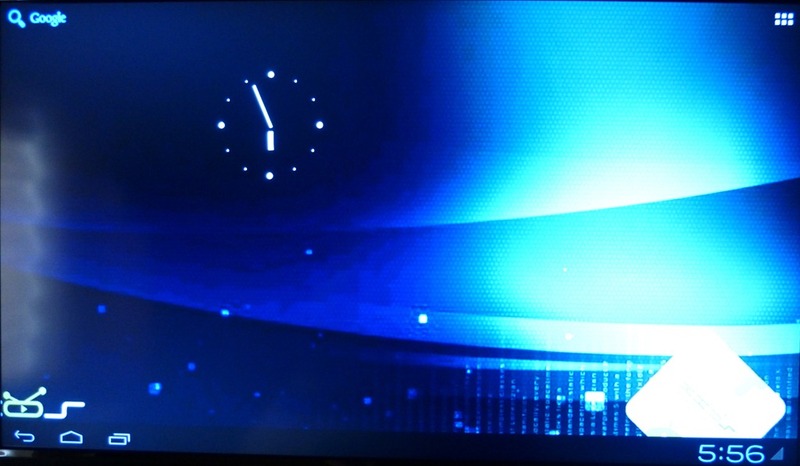 The XIOS certainly isn’t as good as my previous XBMC setup (at least so far). But this can be expected from something that was only $104CDN (plus another $24 for the sense remote).